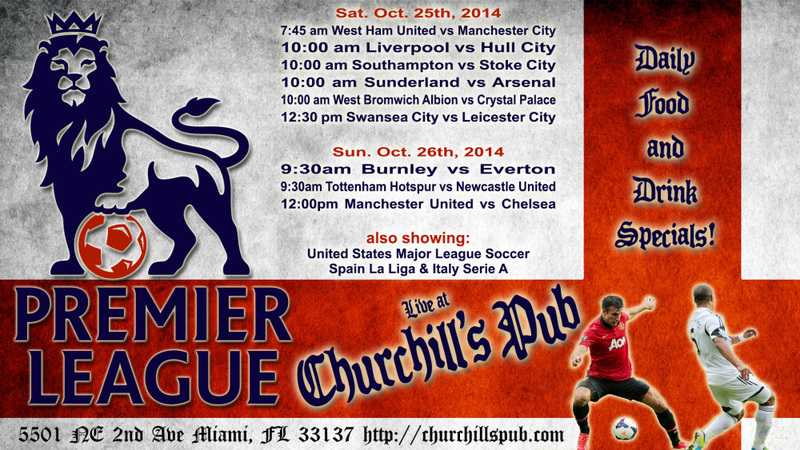 Churchill's Pub will be open early this weekend so you can catch all the Premier League action! We will be open early on Saturday at 7:45 am for the West Ham United vs Manchester Citygame! 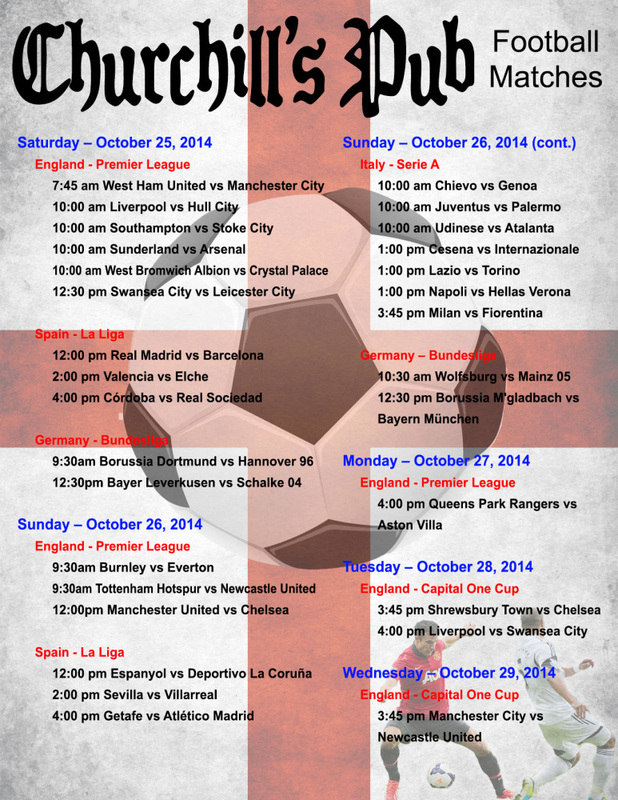 On Sunday we will be open early too at 9:30am for the Burnley vs Everton game. We will also be showing United States Major League Soccer, Spain La Liga, & Italy Serie A games! Come try our English breakfast, lunch menu, and new daily specials!